The Perth Thunder are pleased to announce our second import signing for season 2019, 22-year-old Finnish Goaltender Nico Viksten. Viksten has had a successful underage and senior career in Finland, spending all of his junior career with Ilves under 16, under 18 and under 20 teams, playing in multiple playoff series whilst also spending time on loan to senior team LeKi in the Mestis league. Viksten also has a wealth of international experience, having taken the net for 12 international appearances for Finland’s underage teams, including being a part of the Silver Medal-winning Finland 2014-15 World Junior Championships team that boasted NHL players Patrik Laine and Jesse Puljujarvi. Thunder General Manager Stan Scott expressed his happiness with the signing, saying Viksten continues a legacy of quality import goaltending for the Thunder. “It’s a position all hockey clubs see as vital, and we think Nico is a quality young player who will come in and fill the goaltender position very well and have an impact on the league,” Scott said. 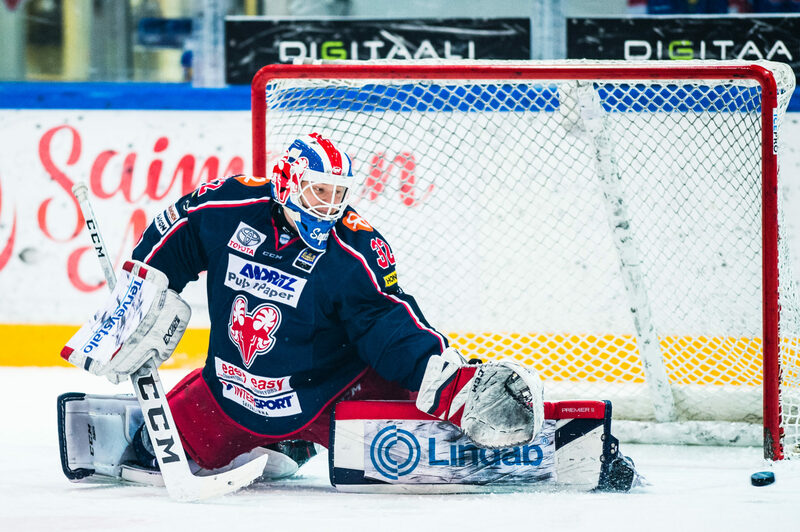 Viksten has most recently been playing for reigning champions SapKo in the Mestis league, posting an .890 save percentage and 2.68 goals against average in 25 appearances this season, after impressing in 30 starts for Espoo United in 2017-18, posting a .910 SV% and 2.50 GAA. Season tickets are still available, so click here to see Nico in action, with the puck dropping on April 27! (8/28/2018) Thunder win in epic comeback! (8/25/2018) Last home game of 2018 tonight! (8/25/2018) Thunder win 5-4 in Shootout!